It’s a match made in existential heaven, excusing the obvious incongruity of that statement. Fyodor Dostoevsky wrote “Notes From Underground,” his pioneering paean to human indulgence and perversity, in 1863. It pushed the buttons of the pre-revolutionary Russian aristocracy and welcomed the modernist literary movement that fostered such free thinkers as Friedrich Nietzsche and Franz Kafka. Taking that one step further, without the occasionally incoherent ramblings of Dostoevsky’s intellectually self-flagellating anti-hero, the Underground Man, there might never have been plays by Anton Chekhov, Samuel Beckett, or Tennessee Williams, books by Philip Roth or Augusten Burroughs, or movies by Woody Allen. Zombie Joe’s Underground Theatre Group has been breaking established boundaries since its inception in 1992 in an industrial garage in Northridge. Pushing the limits of live theatrical performance as a vital and daring art form from the beginning and crediting French avant-garde master Antonin Artaud as his inspiration, the company’s intrepid leader, Zombie Joe, has forged a unique place for himself in what has become the thrilling and seemingly unbounded L.A. experimental theater scene. So what took Joe and ZJU a whole 21 years to enter the world of Dostoevsky’s groundbreaking screed? Adapted by Joe and directed by his protégé Josh T. Ryan, the downward-spiraling journey of the Underground Man, here called Alex, is perfect fodder for the company’s signature mission to ignore almost every convention of traditional theater. Addressing readers as “ladies and gentleman” as in the original, Joe’s adaptation is buoyed by the arrestingly manic performance of Michael Blomgren as Alex, who spews out the novella’s first part, a bitter monologue scribbled in a notepad about his disillusionment with life. Gripped by an ennui that would devastate and render most souls unable to act at all, Alex instead wallows in being angry at the world, determined to enjoy every moment of his own self-indulgent suffering. Blomgren saturates Alex with a suitably claustrophobic demeanor accentuated by the tiny performing space itself. 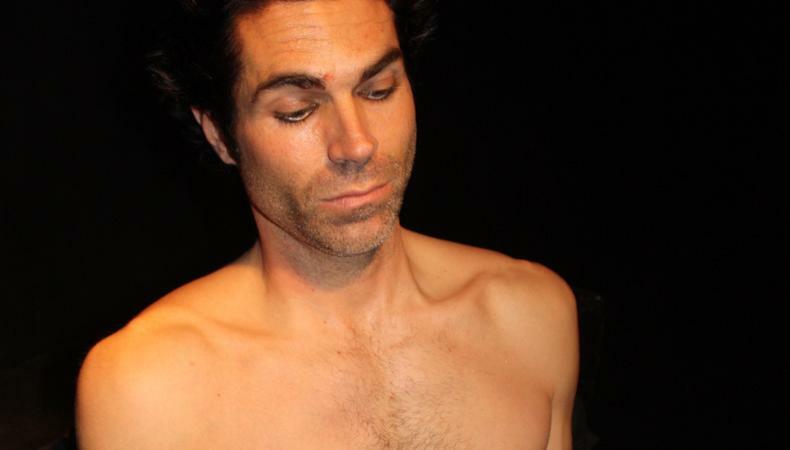 As the actor stands spouting a manic torrent of self-deprecating judgments illuminating his character’s loneliness, pain, and despair, sweat drips down his bare chest and spittle forms at the corners of his mouth, only a couple of feet from the audience. With a simple wooden cube for a set and no other design elements to get in the way, the wonderful supporting cast, all obviously high on Joe’s particularly tasty vat of artistic Kool-Aid, commits totally to the vision, playing speeches to one another directly forward, unafraid to make grotesquely exaggerated faces and take chances that would make a Meisner teacher question his calling. Does this creative abandon and lack of established boundaries work for the dark and brutally countercultural “Notes From Underground”? Like gangbusters. Presented by Zombie Joe’s Underground Theatre Group, 4850 Lankershim Blvd., North Hollywood. Jan. 11–March 1. (818) 202-4120 or www.zombiejoes.com.